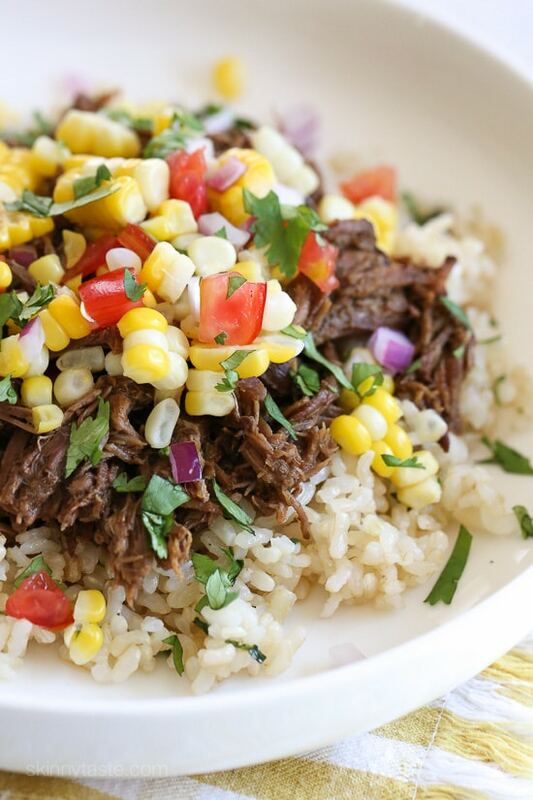 Today we’re sharing our picks for The BEST Instant Pot Barbacoa Beef Recipes for dinner ideas that will help keep your kitchen cool. And there are several recipes here that have Slow Cooker Barbacoa Beef options if you prefer that method. 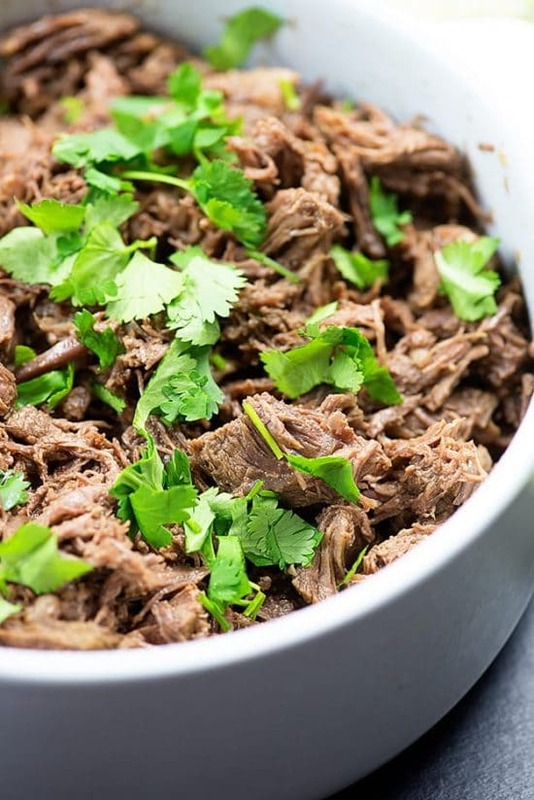 Click here to PIN The BEST Instant Pot Barbacoa Beef Recipes! 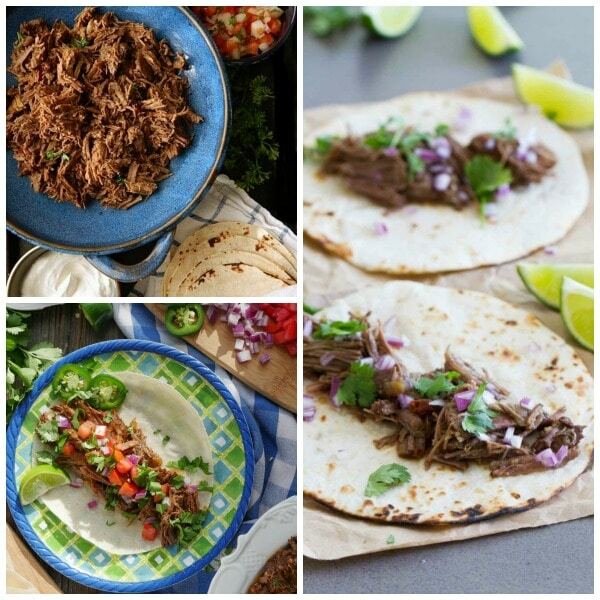 If you’ve never made Barbacoa Beef, you simply must try one of the options in this collection of The BEST Instant Pot Barbacoa Beef Recipes! Barbacoa Beef is delicious, versatile and great to have on hand for an easy-to-throw-together summer dinner with family or friends. And delicious shredded Barbacoa Beef is so easy to make in the Instant Pot or use the slow cooker if you prefer! 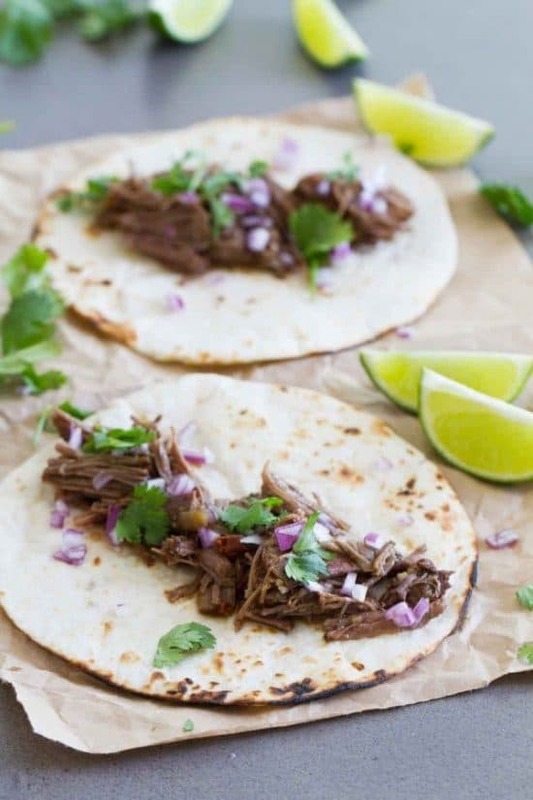 You can serve this tasty beef the traditional way, inside tortillas with onions, cilantro, and a squeeze of lime. Or make the Instant Pot Barbacoa Beef into enchiladas, burritos, or quesadillas. And if you’d prefer a low-carb meal just serve your Barbacoa Beef in low-carb tortillas, in lettuce wraps or over taco salad. No matter which way you serve it, Barbacoa Beef is a perfect idea for a Summer Dinner, and using the Instant Pot will keep your kitchen cool. There are also several recipes here that work in the slow cooker if you prefer that method. All photos are copyrighted to the blog that posted the recipe. Just click the recipe title under any photo to see the full recipe on the original blog. And enjoy a tasty Barbacoa Beef dinner soon; you’ll be glad you tried it! Give this Instant Pot Barbacoa Beef from Taste and Tell a try. It is spicy, bold, and flavorful and would be great for tacos, enchiladas, bowls and more. Enjoy! Karly likes to serve this Beef Barbacoa (Instant Pot or Slow Cooker) from Buns In My Oven in corn or flour tortillas with all the favorite toppings like lettuce, tomato, Cholula, and shredded cheese. For those who prefer using the slow cooker method of cooking Karly has included those instructions here also. If you like spicy food then you will love this Barbacoa Beef (Pressure Cooker or Instant Pot) from Skinnytaste. 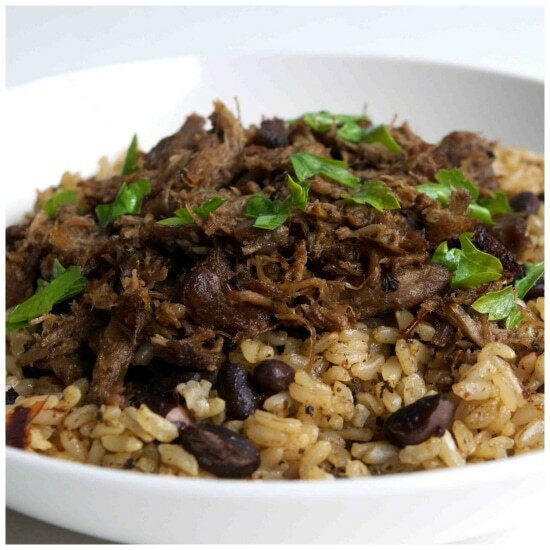 Shredded beef braised in a blend of chipotle adobo, cumin, cloves, garlic, and oregano. Gina served this over cilantro lime rice and topped it with corn salsa. Looks delicious don’t you think? Instant Pot Chipotle Barbacoa Beef from Frugal Hausfrau uses canned Chipotle Pepper in Adobo Sauce and freezes any peppers not used for another meal. Serve this Instant Pot Chipotle Barbacoa Beef in tacos, burritos, or tostadas and also makes excellent enchiladas. 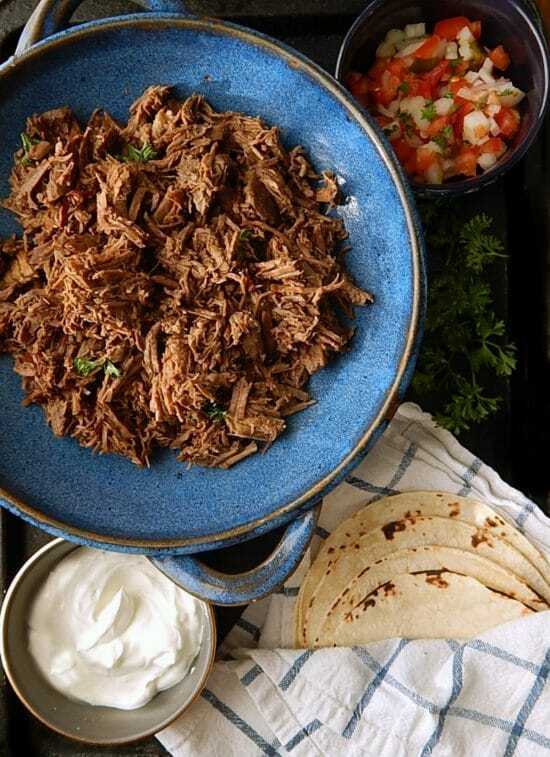 When you use a pressure cooker or Instant Pot for this Delicious Pressure Cooker Beef Barbacoa from The Kitchen Whisperer you don’t heat up the house with the oven nor do you have to wait eight hours for the crockpot to do it’s magic. Grab your Instant Pot and start cooking! Instant Pot Barbacoa Beef from Gimme Some Oven is super easy to make in the Instant Pot or pressure cooker. It’s full of flavor and great for tacos, burritos, quesadillas, or to top a salad. Best Beef Barbacoa (Instant Pot and Slow Cooker) from My Heart Beets is perfectly seasoned and couldn’t be easier to make. It requires minimal hands-on time and can be used in so many different ways. Ashley has also included slow cooker directions if you prefer that method of cooking. Spicy Barbacoa Beef Roast (Instant Pot) from My Life Cookbook is full of spicy flavor and is perfect over rice for a delicious dinner. Slow Cooker directions are also included if you prefer that method of cooking. 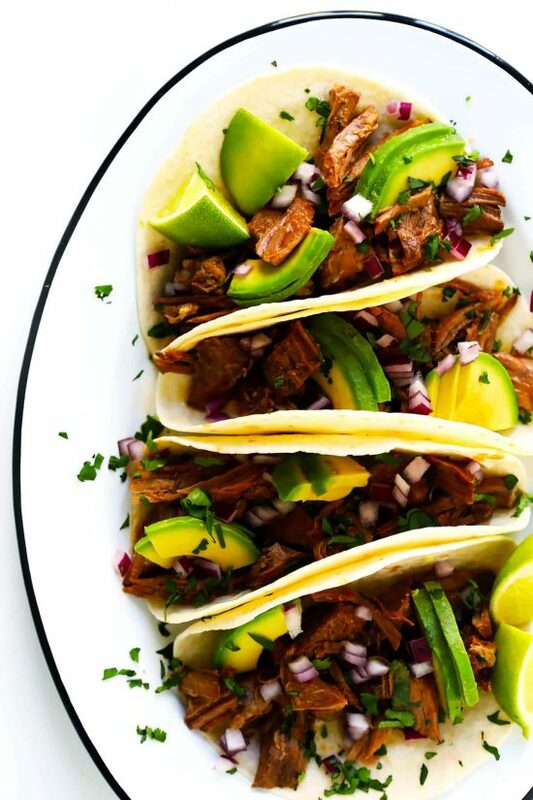 This Instant Pot Beef Barbacoa from Serenity Food looks delicious. Authentic Barbacoa in Mexico is traditionally served on a warm corn tortilla with simple toppings like chopped cilantro, diced onions, and a squeeze of lime. Adijat served the beef with brown rice she made using the cooking liquid from the beef and says the rice was delicious!